Once again, there I was on metafilter when I stumbled across something interesting. Go figure. This time, it was an excerpt from a commencement speech at Kenyon College (printed in the opinion page of the NYT) written by author Jonathan Franzen (Freedom) about technology and narcissism and love and life. We want to be loved for who we are, and yet we rarely show our true selves to people, especially at the beginning of a romantic relationship. 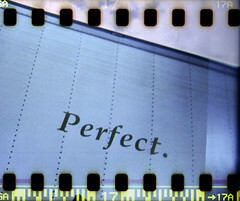 We try to be perfect, to be who the person wants us to be, or who we think the person wants us to be. We don’t lose our temper when someone cuts us off on the road. We cook gourmet dinners. We obviously don’t burp or fart or poop, because we don’t do any of those things. We don’t get upset or have a bad day and eat a pint of ice cream to ease the pain. We exercise regularly and have a clean house. And yet pain hurts but it doesn’t kill. When you consider the alternative — an anesthetized dream of self-sufficiency, abetted by technology — pain emerges as the natural product and natural indicator of being alive in a resistant world. To go through a life painlessly is to have not lived. Read the rest of the opinion piece here. Listen to the whole commencement speech here. Okay, I’m looking for opinions. What do YOU think of cuil? If you don’t know what it is, it’s the new search engine that “searches for and ranks pages based on their content and relevance,” rather than relying “on superficial popularity metrics” (like google does). By the way, it’s pronounced “cool” and is an old Irish word for knowledge. I’m still forming my opinion. I want to know yours. Share, please.